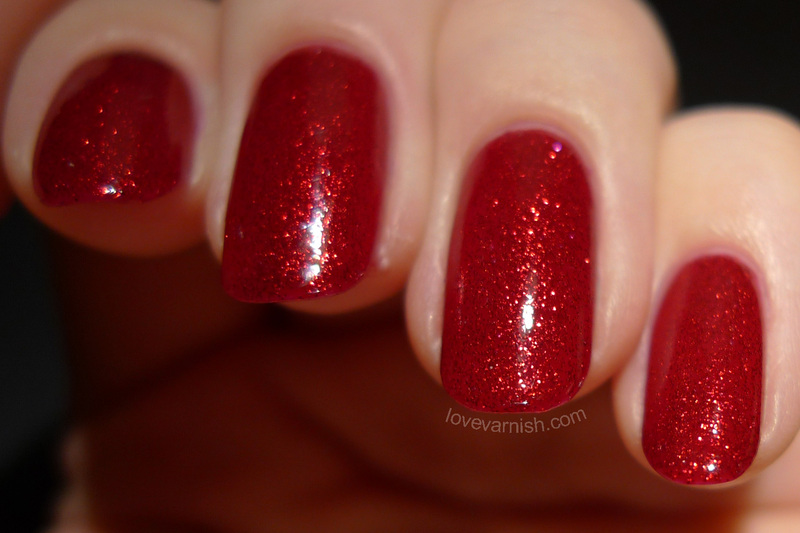 Love Varnish: Something old, something new... it isn't borrowed and it isn't blue! Something old, something new... it isn't borrowed and it isn't blue! Hi loves! Surprise surprise (though if you follow me on Instagram you already know) - I changed my nail shape! It had been in my head for weeks and when I snapped a corner on my middle finger nail, it felt like the right time to try and shape them rounded/almond. They are still a work in progress and I aim to shape them like this in the end, but I don't want to take off too much length so I file them bit by bit :-). My new shape did inspire me to wear one of the most beautiful shades in my stash again. Seriously, this shade is just perfection for every occasion! 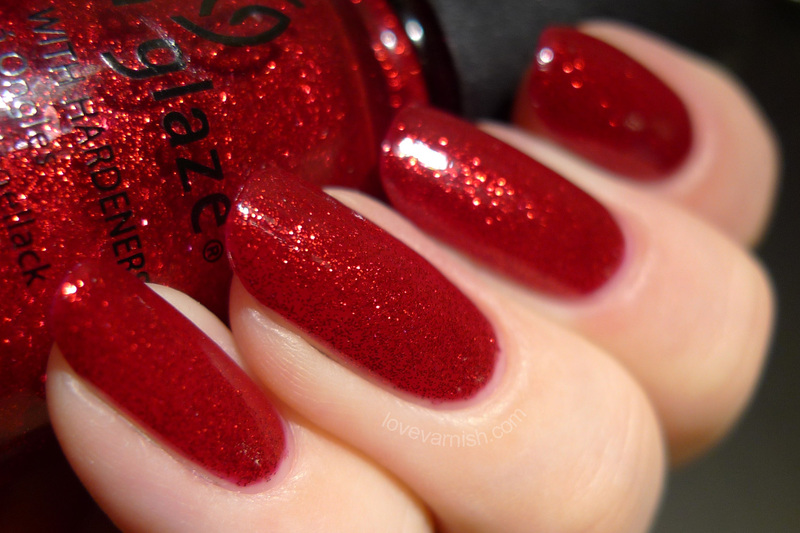 It's China Glaze Ruby Pumps and an iconic shade. 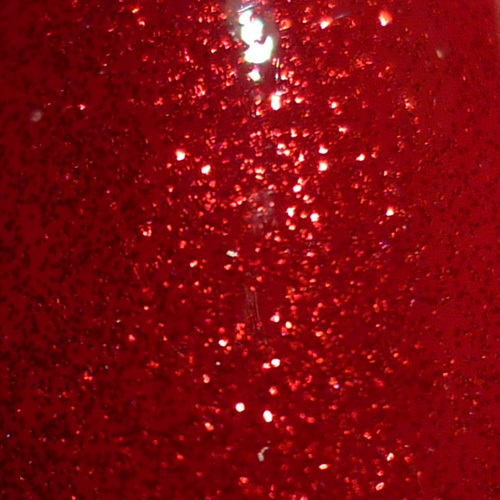 The jelly red base has the right amount of pigment and it's packed with small glitter making it appear like you have jewels on your nails. The formula is good too, 3 thin coats are all you need and it applies smooth and easy. While I do like the new shape of my nails, but it does take some practice photographing them properly. It feels weird lol! What do you think of my new nail shape? Hate it, love it? Tell me in the comments! I like the new shape! I'm starting to round off my edges too now, I'm sick of corner breaks! 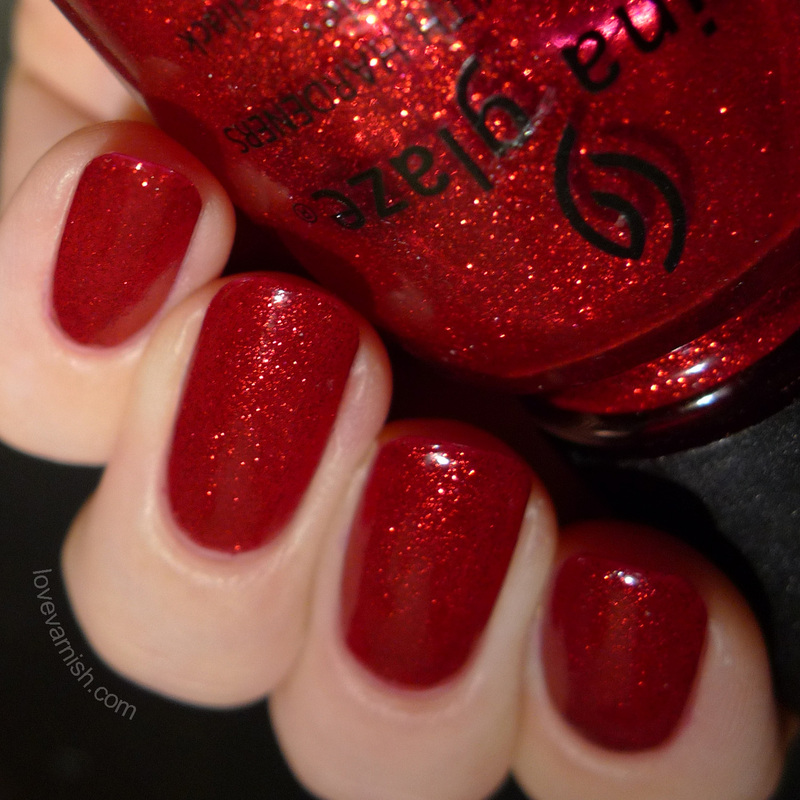 Ruby Pumps is one of my all time favorite polishes, it's so classic! I like your new shape! Looks great! I'm normally not a big fan of almond shaped nails but it looks amazing on you! And you are also making me want to use Ruby Pumps! Amazing swatch lady! I like the shape but I LOVE THAT COLOR! The new shape looks great! 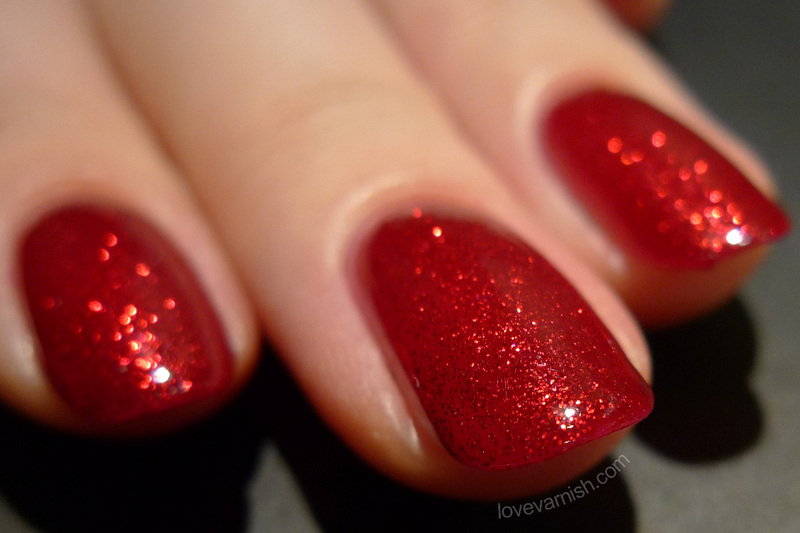 Looking at these lovely nails remind me that I really need to dig out my bottle of Ruby Pumps. It's been years since I wore it! The new shape is great! I'm a huge fan of Ruby Pumps - it's one of those timeless classics in my collection.